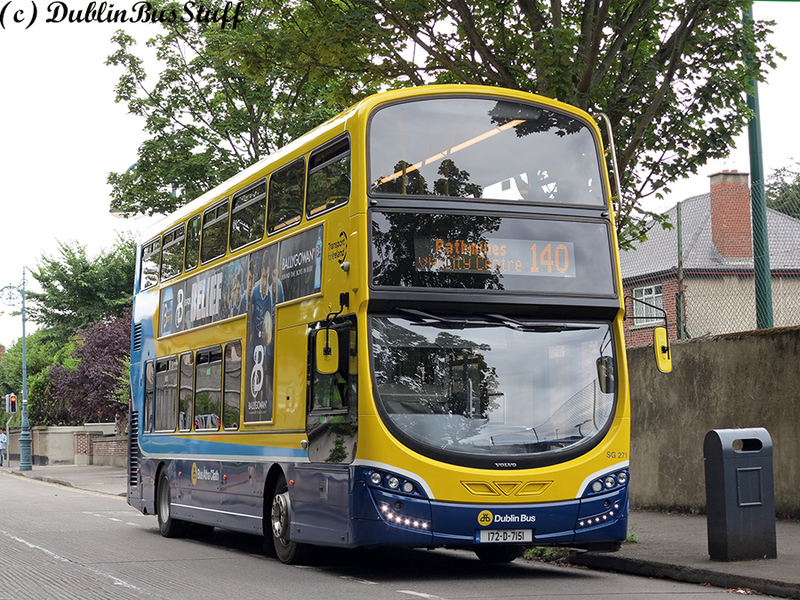 Harristown's brand new SG271 is seen at the Palmerstown Park terminus of Route 140 on the 4th August 2017. SG271 is the first of the 2017 batch of 100 SGs to be delivered to Dublin Bus. It entered service on the 24th July 2017, being allocated to the 2nd pull out on Route 4. It has the same bodywork as the SG class buses, the older front being selected as before. The major difference is the new USB charging ports. 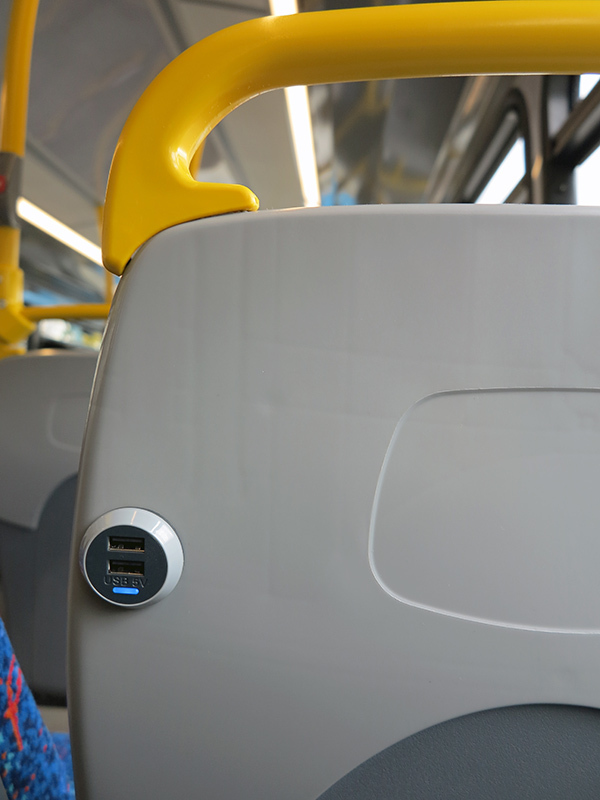 As shown in the photo below, one of the two side by side seats has two USB charging ports, the premise that each person will use 1. This is a major upgrade for vehicles, a further sign of how the transport industry is modernising. Hopefully these will not suffer significant damage, the utility of these features being sufficient to keep society's delinquents from ruining these devices. The new SGs also include more handrails than older SGs, something which had been trialled on SG191. The new USB charging ports. This seat is on the right hand side upstairs. This is the seat closest to the window. The seat next and to the left, has no such USB charging device, the premise is that two people will share this one port. SG271 is the first of Harristown's batch of 18 buses, SG271-SG288. These buses will see the end of the DT class which are due for withdrawal from the fleet and have been placed for tender. These were an interesting batch of buses, and hopefully I will do a few features on these in the near future. Following Harristown's allocation, the next batch of 22 SGs, SG289-SG310 are destined for Phibsborough. 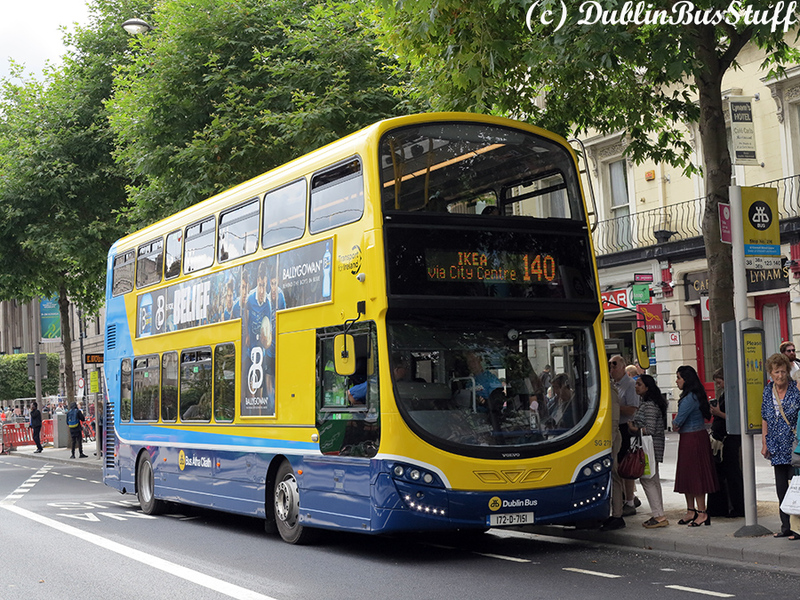 SG271 is seen operating Route 140 on O'Connell Street on the 4th August 2017.